As a developer, one thing that you should realize is the importance of constant education. The world of cryptocurrency and blockchain is in a constant state of motion. The norm a year back ago could be completely irrelevant months from now. So, in the spirit of this constant change, we are going to give you an idea of what Vyper and Plutus smart contracts and code will look like. 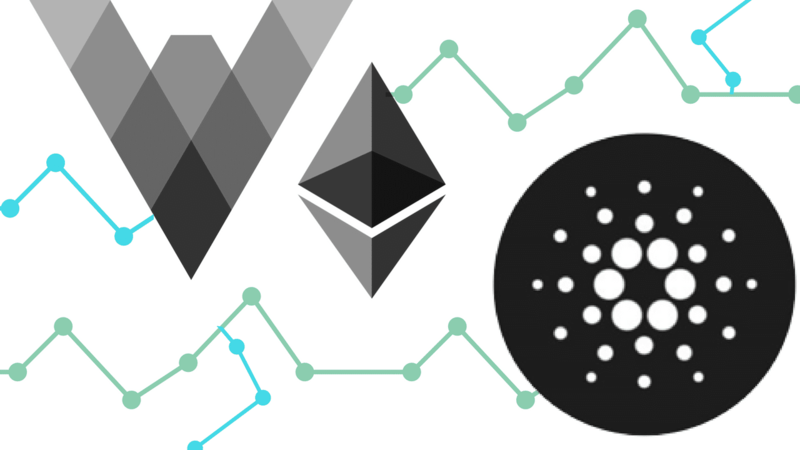 Ethereum is planning to use Vyper for its future contracts, while Cardano has chosen Plutus as its choice of smart contract programming language. Solidity is the Smart contract language of choice for Ethereum as of right now. Solidity was developed by Gavin Wood, Christian Reitwiessner, Alex Beregszaszi, Yoichi Hirai and several former Ethereum core contributors to enable writing smart contracts on blockchain platforms such as Ethereum. It has been influenced by many popular programs and programming concepts. It has elements of object-oriented programming, web development, assembly language, etc. and covers a wide range of use cases. However, auditing solidity contracts can be really difficult since they can be extremely permissive and complicated. Vyper is a Python-based language that is built solely for readability and simplicity. Since python itself is one of the most easily understood and widely-used programming languages, it is hoped that non-technical people will be able to hop on and start coding their own smart contracts. Vyper has been developed as a minimalistic, simple language which focuses on trivial use cases (eg. it can’t be used to code a complex Dapp) and is not as flexible as solidity. Ethereum’s sharding implementation and Casper FFG have been coded in Vyper. The Ethereum Commonwealth which maintains and develops Ethereum Classic has also stated that they want to adopt Vyper as a default smart contract language. Vyper’s minimalist approach does away with inheritance, state modifiers recursive calling, and Operator overloading which gives way to gas limit vector attacks. Plus, it also has tons of overflow checks for large arithmetic operations. Because of its approach, not only is Vyper resource efficient, it is also difficult to write malicious code without it being spotted during auditing. Let’s take a look at a Vyper smart contract courtesy CoinPupil. This is a simple and straightforward ERC-20 contract. self.balances[_from] -= _value  # decrease balance of from address. self.allowed[_from][msg.sender] -= _value  # decrease allowance. self.balances[_to] += _value  # incease balance of to address. # Allow _spender to withdraw from the account up to the _value amount. The “self” method is used to show the instance variables of its class for clarification purposes. @public and @private are used to set the visibility and exposure of the contracts ABI (Application Binary Interface) interface which allows external actors (other contracts or wallet addresses) to call it. Cardano has chosen Haskell and Plutus as their languages of choice. Haskell will be used to code Cardano, while Plutus will be used for the smart contract creation. Both of them are functional languages. In an imperative approach, the coder needs to put down all the steps that the computer needs to take in order to reach a goal. All of our traditional programming languages like C++, Java and even Solidity are imperative programming languages. This kind of programming approach is also called algorithmic programming. So, let’s take a look at some basic Plutus programming. The following code has been taken from Cardano docs. You can see in the code itself the differences between a functional approach and an imperative approach. The ever-changing world of crypto and blockchain means that we need to be on our toes constantly. Having knowledge of these new programming languages is absolutely critical for all bounty hunters and developers. Good read. Any love for Michelson (and Liquidity) ?